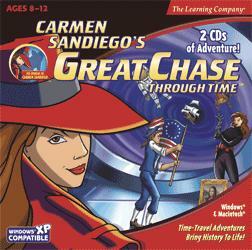 "Carmen Sandiego Great Chase Through Time"
Travel through time and discover world history! Formerly sold as Where in Time is Carmen Sandiego? "Where in Time is Carmen Sandiego"
the launching of the first person into space!